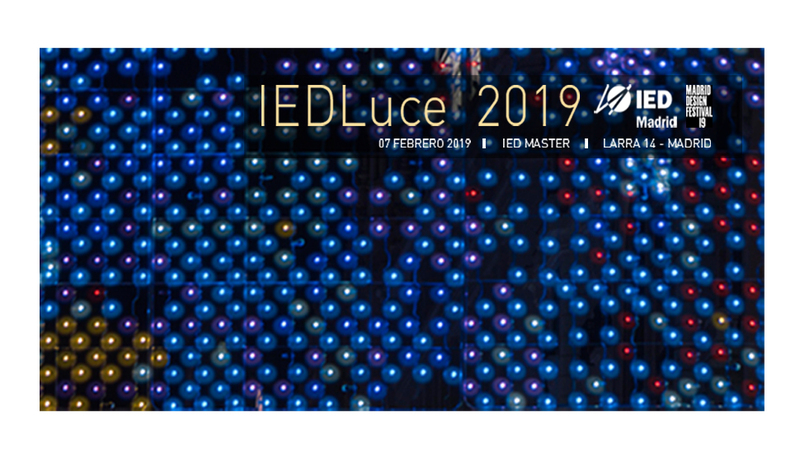 We’re pleased to participate to this year edition of IEDLuce 2019. The event organized by Ied Design Madrid , AAI (Asociación de Autores de Iluminación) and APDI (Asociación Profesional de diseñadores de Iluminación) brings together manufacturers, professionals and interested in the lighting sector in order to discover new ways of expression through light. A free event in which IED Master is committed to highlighting the importance of light and its power to tell stories, giving this edition a starring role in the intersection between poetry and light that new technologies allow. The boundaries between the different types of lighting become less and less clear and this discipline becomes more and more important. During the day it will be possible to attend presentations by special guests such as Ben Busche and the ReVR studio. The event will be held at the IED headquarters in Madrid on February 7, 2019. To reserve a seat, fill out the form on the event website.